What are we to make of prayer when God seems to turn a deaf ear? Unexpected sorrow and challenges can shake your faith in God's goodness. In "When God Doesn't Answer Your Prayer" Jerry Sittser affirms the greatness of God's love in the face of unanswered prayer. More than a decade ago, Jerry Sittser prayed for the protection of his family, yet three of his loved oneshis daughter, his wife, and his motherdied in an automobile accident. What went wrong? Why wasnt my prayer answered? he asks. It is no longer an abstract question to me. 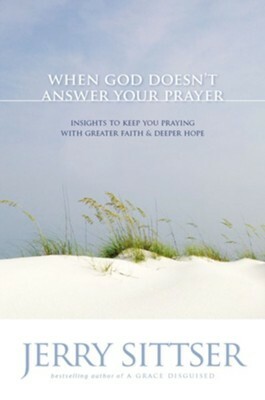 What should we do and how should we respond when our prayersprayers that seem right and true and goodgo unanswered?In When God Doesnt Answer Your Prayer, Sittser continues exploring the issues he addressed in A Grace Disguised. He asks, Why doesnt God answer our prayers? What, if anything, can we do about it? Sittser is intensely committed to exploring the Christian faith, especially when it doesnt seem to work. In this thoughtful and beautifully written book, he moves beyond easy answers and religious formulas to explore the goodness and greatness of a God who cannot be controlled but can be trusted. 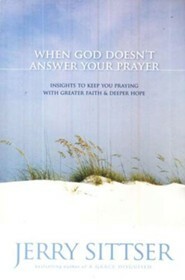 When God Doesnt Answer Your Prayer takes an honest and probing look at the problem of unanswered prayer. In doing so, it draws us ever deeper into a relationship with the God who is the end of all our prayers, the object of our faith, the one who fulfills our deepest longings. 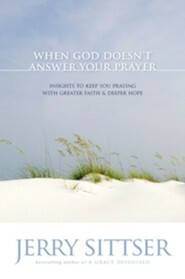 I'm the author/artist and I want to review When God Doesn't Answer Your Prayer: Insights to Keep You Praying with Greater Faith and Deeper Hope - eBook.